Even though the Chinese soccer team is not participating in the current FIFA World Cup tournament in Russia, we can still see a strong presence of Chinese companies and their impact. Out of 19 of the corporate sponsors, seven are Chinese. How come there are increasingly more Chinese advertisements at the World Cup? The FIFA World Cup is one of the world’s most-watched television events and gathers a large and diverse audience. With such a global reach it is no surprise that companies want to place their advertisement during the games. It is certain that their product will be seen by billions of people and can establish a more cosmopolitan view of their brand. Since the corruption scandal involving FIFA came to light in 2015 many western companies, afraid of the bad image that the situation might shine on them, have withheld their support of the event. Especially after companies including Sony, Continental, Johnson & Johnson, and Castrol didn’t renew their sponsorship contract, China saw a great opportunity, seized the moment and secured an unprecedented presence at Russia 2018 tournament. A few years ago, Chinese companies would most likely not get the chance for sponsorship even if they wanted to. However, not only the opportunity was the sole reason for the increased presence of Chinese advertisements. For some time, China aspires to become a strong player in the soccer industry. Some say the reason for such move was the encouragement from the current President, Xi Jinping, who is said to be a big soccer fan himself. Xi Jinping has previously stated that he wants the country’s team to win the World Cup turning China into a soccer superpower. Moreover, he said that he would like China to host the games and intents to bid on it for the 2030 event. Brand association with the FIFA World Cup in China is still at a low level and with this tournament the Chinese want to change it. So, who are Chinese sponsors which we can see during the games? Mengniu Dairy – the dairy company Mengniu, which signed up as an official FIFA sponsor in December, is exclusively offering the “official drinkable yogurt” and other sweet treats during the games as well as other products allowing the company to introduce their products to foreign consumers. Choices include unknown names like Mood for Green, Ice+ or Suibian SuiXinGuo. For the Chinese brands which seek new markets, the partnership with FIFA is very prestigious. Chinese brands, without doubt, get two things out of the sponsorship deals. Firstly, the access to a western audience which they will try to win over and secondly the global brand association which can resonate in increased domestic sales. 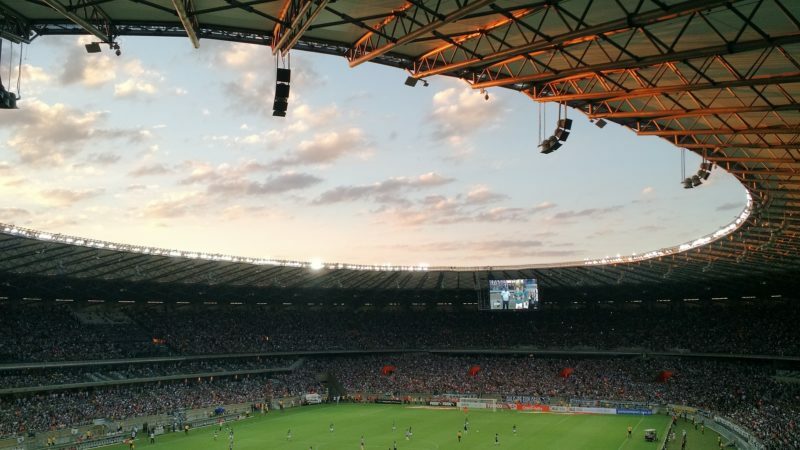 China has made a big move into the commercial world of the FIFA World Cup and we can be sure to see way more in the coming years. Deel dit verhaal via jouw favoriete platform!